A Kansas City Star article about the new high-tech TopGolf location in Overland Park, scheduled to open in Q2 2015. LANE4 is proud to represent Top Golf in the Kansas City area. An excerpt from MetroWire Media – Kansas City Commercial Real Estate, featuring Owen Buckley’s recent presentation to the Kansas City Regional Association of REALTORS. His presentation focused on the state of the Retail market in Kansas City, and his predictions for 2015. Other keynote speakers included Nathaniel Hagedorn of NorthPoint Development, Larry Glaze of Jones Lang LaSalle, and Michael McKeen of EPC Real Estate Group. Congratulations and Good Luck to our KC Royals! 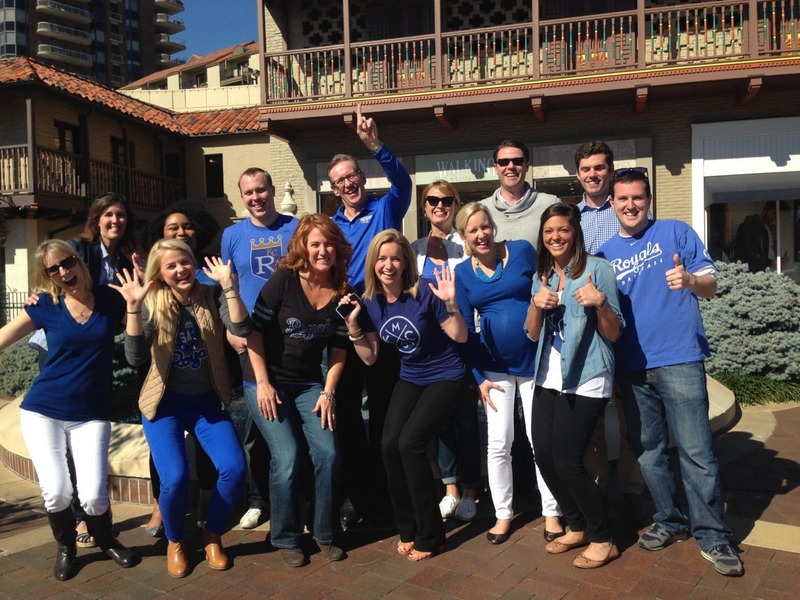 LANE4 is proud to support the Kansas City Royals in their fight for the Crown! Go Royals! LANE4 Property Group announced today that Metcalf South Mall will close its doors to the public on Friday, September 19, 2014 at 4:00 PM. The adjacent Sears, which is independently owned and operated, will remain open for business, as well as The Glenwood Arts Theater. LANE4 Property Group is pleased to welcome its newest member to the sales team, Devin Schuster. Prior to joining LANE4, Devin served as a Vice President at Zimmer Real Estate Services, where he was one of the firm’s top producers. An article from the Omaha World Herald regarding the many recent developments in the 72nd Street corridor in Papillion, NE, including LANE4’s current project at the corner of 72nd and Giles Rd. LANE4 congratulates Managing Partner, Gwen Locher, for being named as one of this year’s Women Who Mean Business! Each year, the Kansas City Business Journal honors 25 top-ranking women in for-profit business. The honorees are chosen based on past accomplishments, plans to grow their companies, and community involvement. The program is designed to be more than just an award, it aims to recognize and link these women, creating a network of strong, business-minded women who can lean on each other for support, advice, and companionship. Congratulations to Hunter Harris, who was recently named as one of the Kansas City Business Journal’s 2014 NextGen Leaders! Hunter is an integral part of LANE4’s success, and the driving force behind many of our most notable projects. In its second year, the NextGen Leaders program recognizes the 25 most outstanding up-and-coming business leaders in Kansas City. The program is designed to encourage and aid the process of identifying and grooming leaders in the Kansas City business and civic communities, and helping them connect with one another and gain access to today’s leaders. From the Kansas City Business Journal, an article about Woodside Village, a $70 million mixed-use project in Westwood, KS. The development is currently under construction at the intersection of 47th Place and Rainbow Blvd. The first phase, including a 4-story, 91 unit luxury apartment building and 20,000 sf of retail space, is expected to be completed in fall of 2015. LANE4 serves as a development consultant on this much anticipated project.